For a wood fired pizza that is absolutely delicioso, head to Fratelli’s Wood Fired Pizza in Cremorne. The Pizza is as it should. It’s simply, tasty and all topped on a delicious pizza base, that’s thin, crusty with a bit of chew. There are even lovely little air pockets, creating more flavour and texture, with its lovely burnt rounded edges flaking away with each bite. The setting is a mix of dine in and take away where you get the “it’s your local” feel, making the service really homey and friendly. This is my girlfriend’s favourite local pizza spot and she insists that we all get the aglio e olio base ($11) to get things started. This is like my wildest garlic dreams coming true because this right here, also has cheese. Ugghhh… cheesey garlic!! That’s gooey stretchy mozzarella with lashings of smelly garlic and fresh parsley. The base is also a lot chewier and crunchier as it is considered a dry base. That’s no sauce. 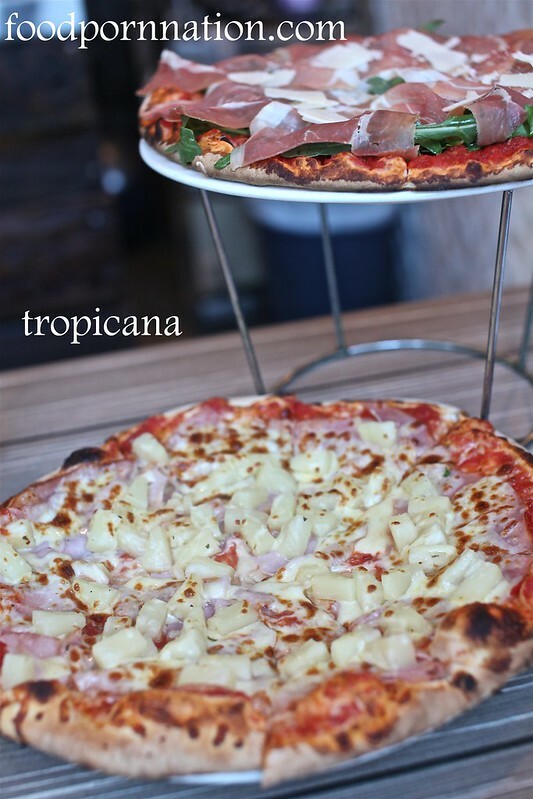 Moving on to the pomodoro (tomato) base pizzas, we take on the tropicana ($19) and rocket & prosciutto ($22). Tropicana is absolutely delicious. It is the perfect example of sweet and savoury. It is also made really cheesey with the most beautiful mozzarella. It is so creamy that it makes all the difference. The quality of the ham is also equally clear. 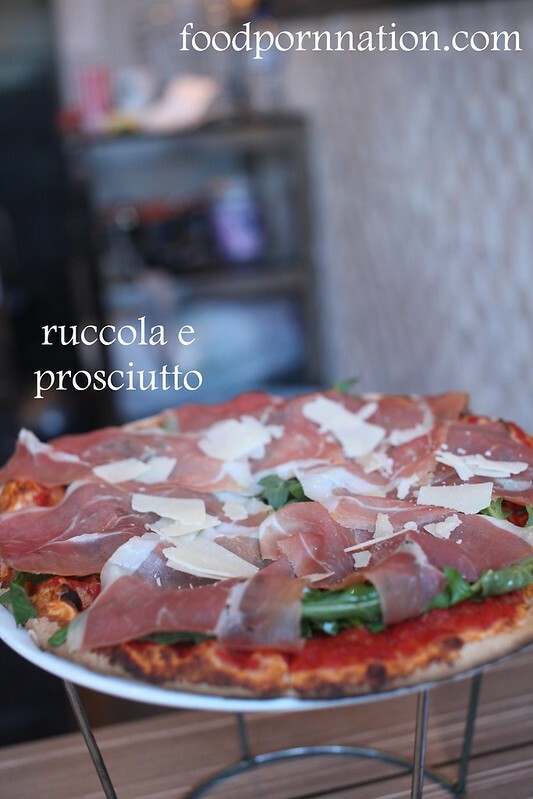 Rocket and prosciutto is as tasty as it gets. Generously layered with prosciutto after prosciutto. Again, you can taste the quality of ingredients come through and to top it over a delicious pizza base. Well, there is simply no better than a freshly made wood fired pizza with quality ingredients. I know it’s awful but it’s awfully good! I’m a sucker for pineapple in my pizza and burgers. Especially if it’s done well like at Fratelli’s! ermahgerd those pizzas look insanely delish! it’s as good as it looks, I promise! 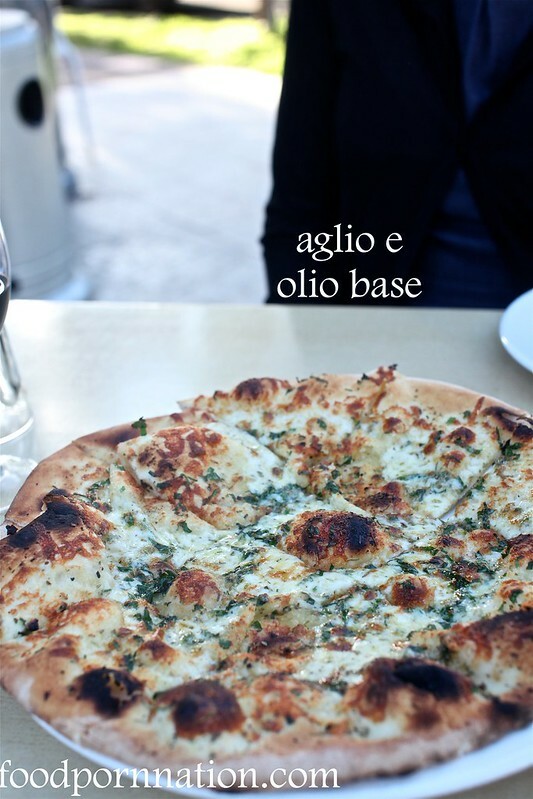 I love a good wood-fired pizza and this looks fantastic. I can’t even bring myself to eat at the fast food pizza chains anymore……and especially since I’ve found Via Napoli mmmmm yummers! I have never tried Via Napoli, but it’s just been added to my hit list! And sometimes I don’t mind the fast food ones but I seriously have to be in the mood! Top tier post as usual! that garlic pizza is worth every single garlic breath we breath! Yum! You can’t beat a good garlic pizza! Bases look lusciously puffy too! Absolutely love prosciutto and rocket on a pizza! Want!